Just Like Fire Would: Below is a video from the one time performance of the song that was play in Australia earlier this year. I loved it then and I love it now. I am really excited to hear this get a proper studio recording. American Skin (41 Shots): This will probably be one of the songs that Bruce fans will recall as Bruce plays this at his live shows even today. The song really took on new meaning with the Trayvon Martin case here in the United States. This song was actually recorded back for The Rising album but did not make the cut. Below is the studio version from The Rising but the High Hopes version will actually be a bit longer. The Ghost of Tom Joad: Below is a good idea of what we can actually expect from the album version of the song. 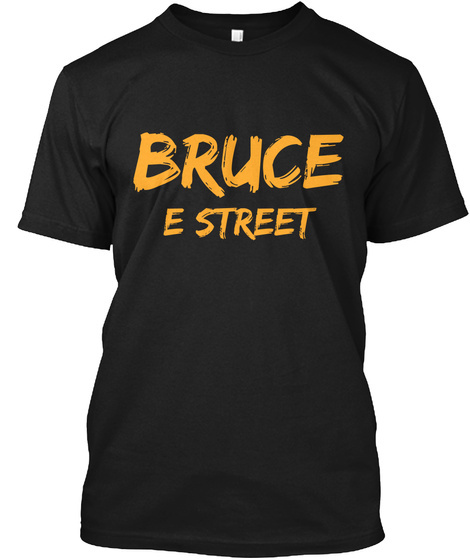 Many Bruce fans will be familiar with this song as it was an original song but this will just be re-recorded with a duet with Tom Morello with his screeching guitar. High Hopes: Bruce actually released this song on the Blood Brothers EP which some Bruce fans do not know of. Of course, Bruce has already released the new version of this song as a single from the album. Dream Baby Dream: Bruce closed every concert with this song back on his solo tour in 2005, so it will probably be known by Bruce fans. Springsteen also released the official studio version of this song earlier this year after the Wrecking Ball tour as a "Thank You" video to his fans. Expect it to sound the same as below. The Wall: This is a song that has only been played a handful of times in public. I am really looking forward to how Bruce produces this one on the upcoming record.